The Water Sports 81061-8 ItzaBeachWagonSet is ideal for backyard, pool and beach activities. 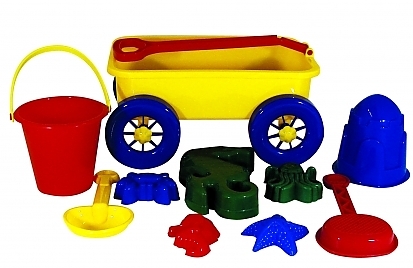 This set comes with a 14-inch wagon, (6) sand shaping toys, bucket, shovel, and sifter. All items are made from durable ABS plastic for years of fun. Whether at the beach, in your pool or in the backyard, you will find what you need at an affordable price. 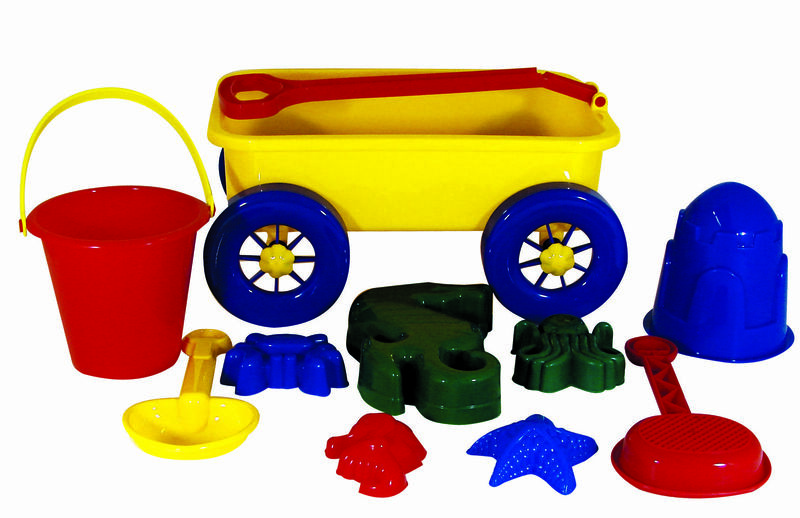 Comes with 14-inch wagon, 6 sand shaping toys, bucket, shovel and sifter. deal for backyard, pool and beach activities. Color of wagon may vary.